A man in Fellsmere was arrested on charges of domestic violence. 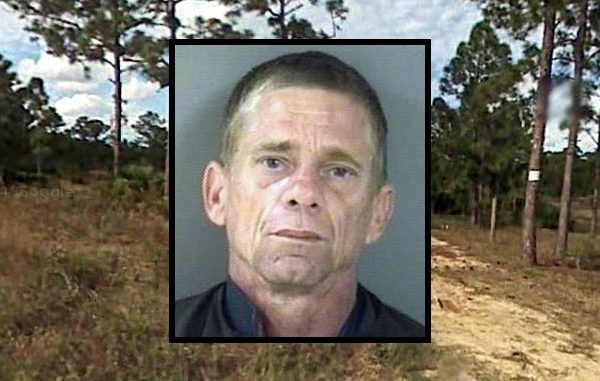 FELLSMERE – A man who was being questioned about a deomestic violence incident in Fellsmere told deputies they were trespassing, and to get off his property because he has a gun. The Fellsmere Police Department received a call about a disturbance from a victim who was crying in a parking lot. The victim told deputies that she and her husband, 47-year-old Michael James Reyna, were driving home from Earl’s Hideaway in Sebastian when he became upset and grabbed her face. Reyna squeezed his wife’s face so hard that he busted her bottom lip open. Officers observed a swollen, bleeding lip on the victim. The victim then said Reyna drove to a parking spot and began to “throw things out of their vehicle and yelled at her,” according to the report. The victim stated that she and her husband have been married for 17 years and have three children in common. A witness in the parking lot stated that Reyna was yelling and throwing things from the vehicle. Reyna also threatened his wife before driving from the scene, the witness said. Since Reyna lives in an unincorporated area of Fellsmere, deputies from the Indian River County Sheriff’s Office assisted Fellsmere police when they made contact with him at his home. Reyna standing inside the house infront of the windows. He yelled, “you’re trespassing, get off my property, I have a gun,” the report said. Police said they were there to question him about the alleged incident. 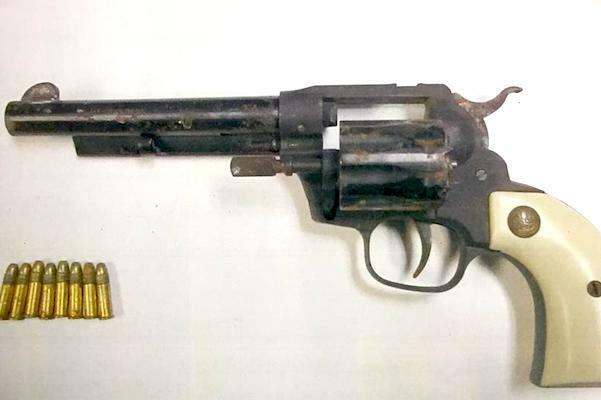 When Reyna turned, one officer observed a gun sticking out the back of the suspect’s shorts. Police gave verbal commands to Reyna for him to put his hands up and not reach for the gun. Reyna kneeled down and puched the screen out of the window and said, “I have a right to protect myself.” An officer was able to reach in through the window and removed the gun. Reyna told police, “You are not going to arrest me,” the report said. Since he didn’t want to talk to police, he was placed under arrest. It took three officers to restrain Reyna. Reyna was transported to the Indian River County Jail where he was charged with Battery Domestic Violence, and Resisting Arrest Without Violence. Bond set at $3,000. Reyna has been arrested 12 times according to jail records.